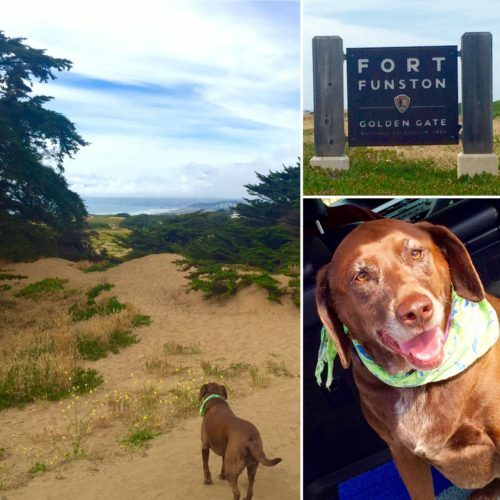 Fort Funston, located in the southwestern end of San Francisco, is one of Otter’s favorite places to meet up with other dogs and run freely through the sand dunes off-leash. 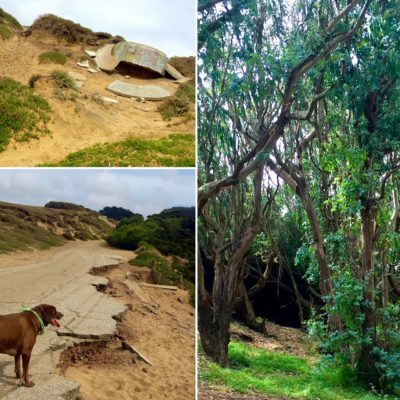 On a given day, thousands of dogs visit to frolic in this decommissioned military defense site of the wind-swept coastal hills in the Golden Gate National Recreation Area (GGNRA). Once a harbor defense site and Nike Missile launching site during the cold war, the salty air now is slowly reclaiming remnants of abandoned artillery battery stations and old access roads. During the winter months, particularly after an intense storm system has swept through the area, fossils, trees and sea glass are abundant along the beaches. 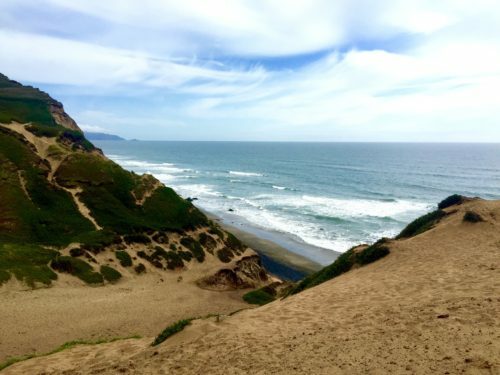 The currents and rip tides make it difficult to swim, but that doesn’t stop thousands of dogs from chasing their tennis balls into the frigid waters off Fort Funston. The vistas are breath taking from the sand stone cliffs, with nature’s beauty abounding in every direction. 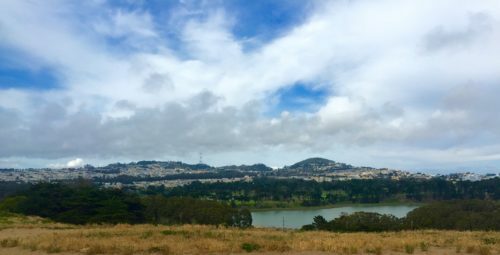 Off to the east the majestic Lake Merced, and to the west is the mighty vast, azure blue Pacific Ocean. 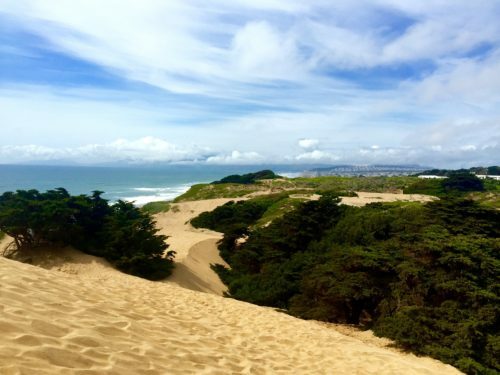 Both to the north and south you can take in the tranquil scenic cliffs and beaches of the Northern California coastline for as far as the eye can see. 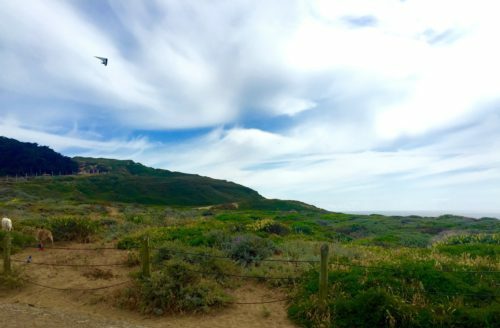 Weekends are an ideal time to see hang gliders dancing in the thermals over the beach. 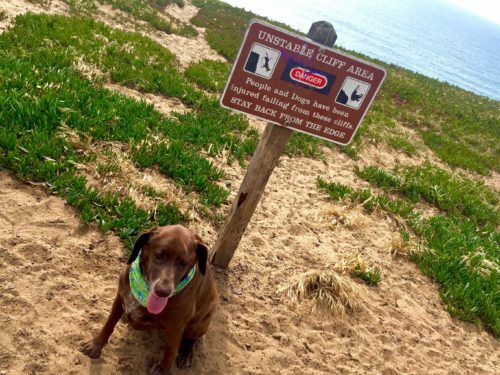 However, you don’t want to stand, or have your dog wander too close to the sandstone cliff’s edge as they are known to collapse without warning! Enjoy More Adventures With Otter Here!